Q: I’ve booked my vacation. What’s next? A: About 35 days prior to your arrival on property, your personal concierge will reach out to you to create your customized itinerary. The concierge will work with you hand in hand to create the perfect trip with guided activities, spa reservations and special events of interest to you. 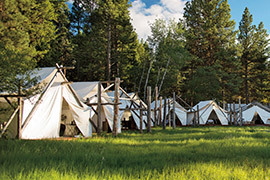 Q: How is The Resort at Paws Up different from a “dude” ranch? 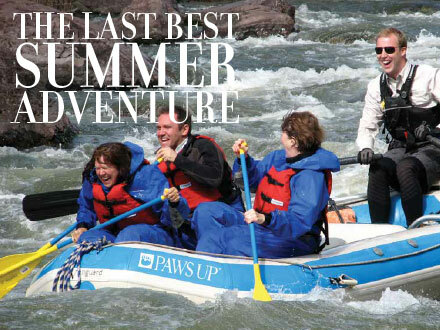 A: Paws Up is a luxury Montana resort, first and foremost. 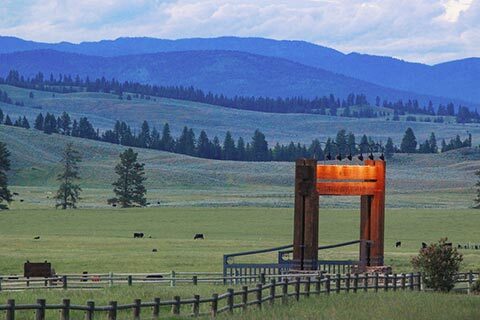 The Resort is situated on a sprawling 37,000-acre working cattle ranch in western Montana. What differentiates us from a “guest” or “dude” ranch is our commitment to luxury and service and our diverse range of available activities. 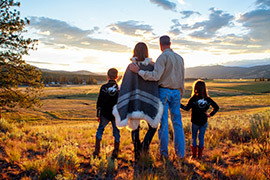 We are a ranch resort offering first-class personalized service, luxury ranch homes, glamping locations, a myriad of Western ranch and wilderness adventures and amenities, such as gourmet cuisine, decadent spa treatments, flat-screen TVs, wireless Internet, in-home laundry, heated bathroom floors, rain showers, organic spa products and hot tubs. Q: Are you able to accommodate dietary restrictions? A: Paws Up is committed to providing amazing culinary experiences for all of our guests and we will be more than happy to assist you with any dietary needs and preferences. 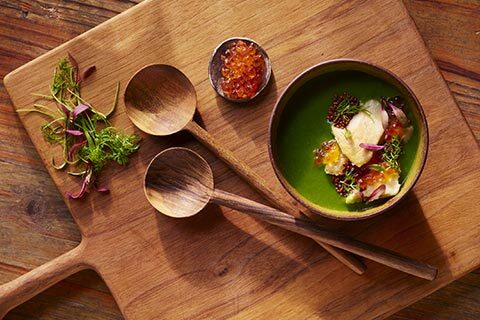 However, our culinary events are plated events and “chef’s choice,” so accommodating a dietary restriction is difficult during the events. Q: What’s the dress code at Paws Up? A: We are a very casual property. Most of the time, our guests wear jeans. We recommend wearing jeans, light layers and closed toe shoes. When you’re participating in outdoor activities, we suggest wearing clothes you don’t mind getting dusty. Q: What about bugs? A: We are very fortunate to live in an area with very dry summer heat and no standing water. As a result, pests like mosquitoes aren’t usually an issue. Q: What’s the best time of year to come? A: There’s not really a bad time of year to visit Paws Up, but it does depend a bit on what you’re looking for. Spring break season and summer months tend to cater to families wanting to spend time together. Our holiday season (Thanksgiving–New Year’s) is also a great time for families to come together and engage in some of our late-fall or winter activities. The months of September and October and later into winter cater to couples looking for a romantic getaway. 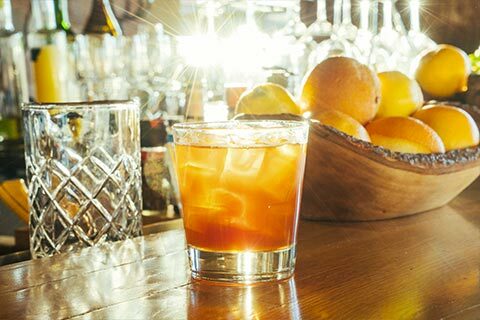 This is also an excellent time to experience some of our incredible culinary events, including Montana Master Chefs and our fall Wine Weekend. Q: What can you offer for my pet during our stay? A: The Resort at Paws Up will provide you and your pooch with a complimentary kennel, a Paws Up collar and a bag of homemade treats. In addition, your pet will enjoy a freshly made treat from our pet-friendly room service menu. Q: Luxury home or tent—which is better? A: When it comes down to deciding on an accommodation, it mostly depends on personal preference. 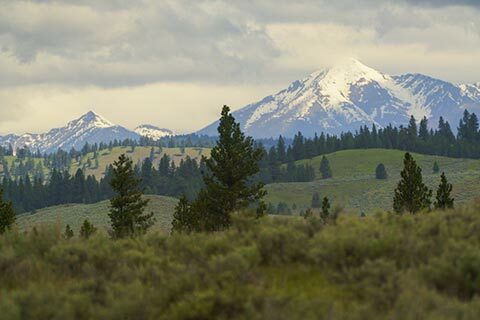 You may speak with one of our reservation specialists to assist you in choosing the perfect accommodations for your Montana vacation. Q: Can we bring our own horses? A: Yes! You may bring your own horses from home. However, they will need to be put in quarantine, and the proper documentation will need to be provided. Q: Is there cell phone service/Wi-Fi at the resort? A: Yes! There is cell service and Wi-Fi provided in each of our luxury homes and the Dining Pavilions for the camp properties. Q: How will we get around the property once we have arrived? A: All guests who book a luxury home will have access to a five-person Kia Soul. Guests who book in our luxury camps are provided with complimentary transportation services on property upon request. Q: Are there direct flights to Missoula International Airport? A: Yes! Depending on your airline and where you are flying from there are a number of direct flights to Missoula International Airport. You can find a list of all direct flights through MSO here. Q: How many nights do most people stay? A: In order to ensure the greatest experience possible and to take full advantage of the activities offered, we recommend that guests stay a minimum of five nights. Q: What activities are included? A: You can find a list of all-inclusive activities by following this link. Q: How long is the drive from the airport? A: Approximately 35 minutes from downtown Missoula and 45 minutes from the Missoula airport. Q: Do you have a store on property? A: We have a general store on property called the Wilderness Outpost, which offers the finest Western clothing, boots, art, jewelry and, of course, Paws Up merchandise. Upon request, your bellman will take you to a store in Missoula on the way from the airport to The Resort for desired provisions. Q: How far is Paws Up from Glacier National Park and Yellowstone National Park? 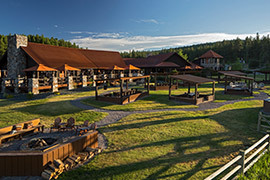 A: The Resort at Paws Up is located approximately 2.5 hours from Glacier National Park and 5.5 hours from Yellowstone National Park. Q: Are meals included? A: Yes. The nightly rates for each accommodation include three meals per day for two adults. Q: Are gratuities included in pricing? 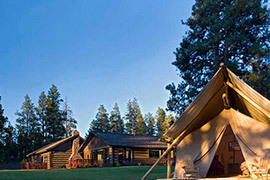 The Resort at Paws Up is a gratuity-free resort. A: Our staff is dedicated to ensuring that you have a memorable vacation. Accordingly, all staff members are well-compensated and highly valued by the management and owners. If you’d like to recognize exemplary service, a kind note, a review on social media or a “thank you” is always appreciated but never expected. We look forward to serving you! Q: I’m celebrating a special occasion (birthday, anniversary, etc.). How can Paws Up make it unforgettable? A: Paws Up is the perfect destination for a “celebration” vacation. 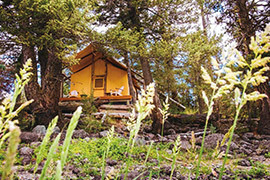 Luxury homes and tents provide unique, private accommodations. 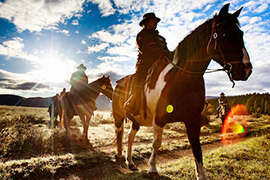 Activities like fly-fishing, rappelling, hot-air ballooning and cattle drives provide incomparable adventure. 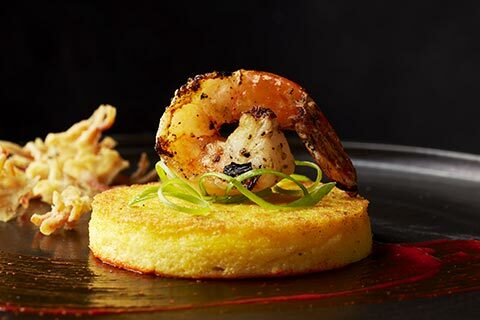 Combined with gourmet cuisine and fine wine, it’ll be the celebration of a lifetime. 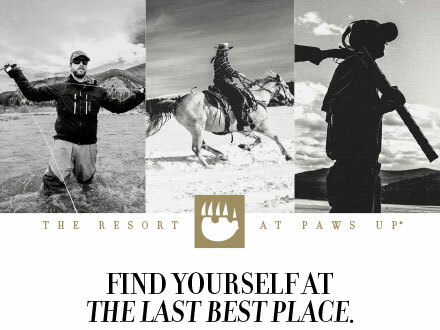 That is, until you return to Paws Up for your next, even bigger celebration. Q: What is required to make a reservation? A deposit? Is it refundable? A: To confirm your reservation, we require an initial deposit that is equivalent to the first two nights of your stay. This deposit is refundable minus a 20% transaction fee up to 60 days prior to your arrival date. 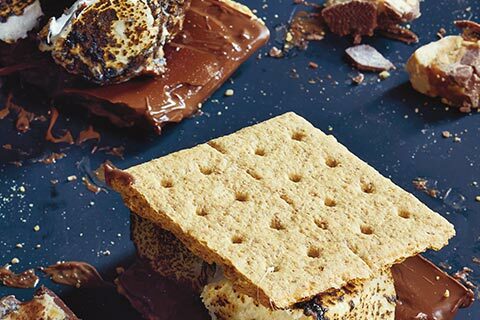 Q: What is the difference between the camp dining experience and the home dining experience? 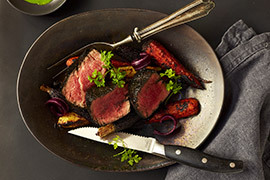 A: The dining experience at Paws Up is like nothing you’ll experience anywhere else in the world. 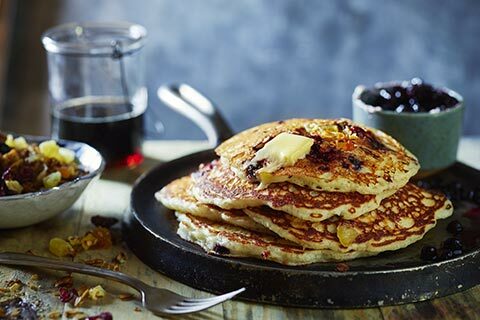 Breakfast and dinner are served each day at your camp. 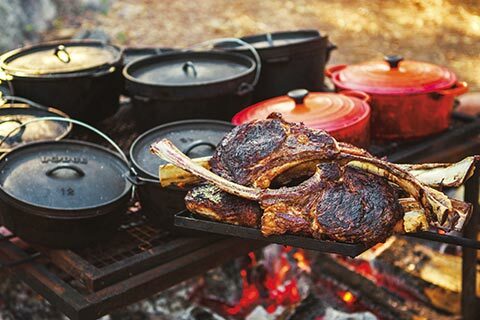 (Lunch is served at Trough, Paws Up’s casual restaurant located in the Cook Shack.) Each luxury camp has its own extraordinary, talented chef, who prepares breakfast and dinner in full view of our guests in a large Dining Pavilion. 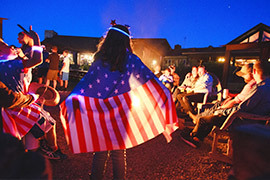 On the first few days of a stay at Paws Up, guests typically sit with their own groups. But by the end of the camping experience, each camp’s guests typically dine amongst each other like one big happy family. The dining pavilion becomes the communal heart of each luxury camp. 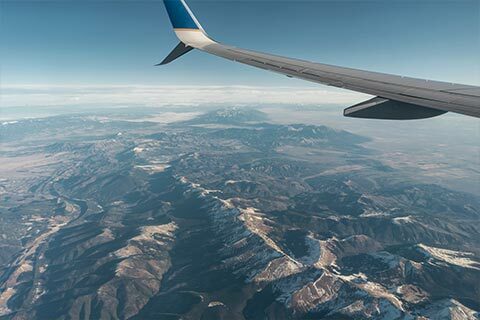 Q: Where do I fly into and how far away is the closest airport to The Resort? A: Missoula International Airport (MSO), which is 35 miles from our property. Q: What does an average day look like? A: Your vacation with us can be whatever you would like it to be! However, you can view a sample itinerary here: Concierge Services. Q: Is there a weight limit for horseback riding? A: We recommend a weight limit of 250 pounds; however, the requirement is more so about the ability to get on and off of a horse easily and safely. Q: Does The Resort make exceptions for children under 8 years old for wilderness adventures? A: For children who are close to their eighth birthday, there are some exceptions that can be made for activities. We do reserve the right to make that decision based on safety. There are also activities available for children under 8 years old. Q: Do you ever see wildlife near the camps? A: In the camps, you can typically see squirrels, groundhogs and whitetail deer. Q: Do the Luxury Homes have a butler? A: Butlers are exclusive to our luxury glamping camps. Q: Are all activities an additional cost? A: We offer many inclusive activities, depending on the season. Activities that require a guide usually include an additional cost. Q: Can you do laundry at the camps? A: Yes! Each camp has a laundry facility. Q: What are the main differences between the tents and the homes? A: Our tents are luxury safari-style accommodations that range from 1–3 bedrooms. Each camp features six tents and a Dining Pavilion. The luxury homes are Montana-style accommodations ranging from 2–4 bedrooms that feature private hot tubs, flat-screen TVs and a personal Kia Soul. Q: Are my kids too young to go to Paws Up? A: No child is too young to come to Paws Up! We offer many kids’ activities as well as nanny and babysitting services. Q: Why Paws Up? Why Montana? 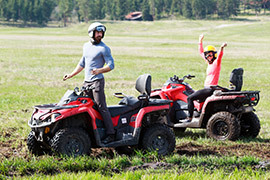 A: The Resort at Paws Up and Montana both offer unique experiences and the opportunity to create lifelong memories. Q: Is The Resort just for families? 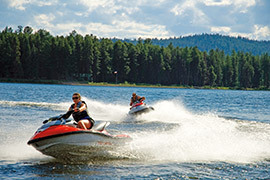 A: The Resort offers many different activities and accommodations for both families and couples. We host many weddings, honeymoons and even all-adult events! Q: Do the tents have electricity, fans and air conditioning? A: The luxury tent accommodations have electricity, heat, air conditioning and ceiling fans. Q: What is the minimum night-stay requirement? A: In the summer months, we require a 4-night minimum stay, and in the fall/winter/spring, we require a 2-night minimum stay (except for special events and holidays). Q: If we don’t use the meal plan or beverage plan each day, do we get a discount? A: Since meal plans and beverage plans are built into the price of a stay, we don’t offer discounts for not using them. Q: Are the tents and luxury homes in different areas of the property? 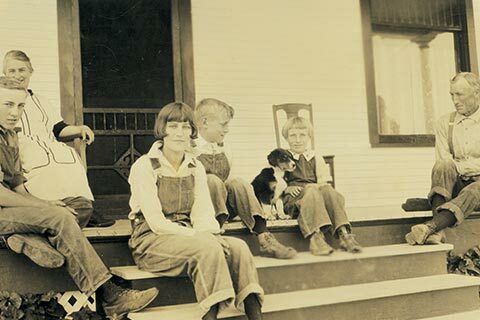 A: The camps are located about 4 miles away from the Paws Up Village, and the homes are located about a half-mile to a mile from the main village. Q: Are the tents soundproof? A: While not soundproof, our tents are spaced apart from each other in a way that allows for limited sound exposure from neighboring tents. Q: Are there certain days of the week I have to arrive and depart? A: We don’t have an arrival or departure requirement, only a minimum number of nights guests must stay with us. Q: Am I able to keep food and drinks in my tent? A: We don’t allow food in our tents in order to help keep animals out. Q: Are we able to stop and get groceries on the way to The Resort? A: Absolutely! You can either stop in Missoula on your way to The Resort or provide us with a grocery list. We can have the items ready for you when you arrive. Q: Can you take us to Glacier or Yellowstone? A: We can take you to the national parks. However, we can’t provide tours inside of the parks themselves. We highly recommend visiting them before or after your stay with us so you can see all of the parks, rather than trying to squeeze visits into one day. Q: Is there a golf course nearby? 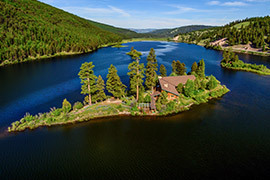 A: The Double Arrow Golf Course in Seeley Lake is located roughly 20 minutes from our property. Q: Do you provide more Kias or a bigger vehicle for larger families? A: If we have availability, large families can rent additional Kias for $50 per Kia, per day. Q: Can we have a car at the camps? A: Because parking at the camps is very limited and used by staff, we highly recommend using our complimentary transportation service to those staying in our camps. Q: How long does it take to get to the main village from the camps? A: It takes about 15 minutes to drive from the camps. Q: How do I set up my transfers to the airport? Are transfers from the airport private? A: Your personal concierge will collect your flight information and arrange transfers to and from the airport. Depending on when guests’ flights come in, there may be more than one party in the same transportation. Private transfers can be arranged upon request. 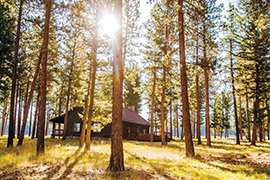 View the careers brochure and learn more about employment at The Resort at Paws Up. At Paws Up, we invest a lot in our employees with professional training, competitive pay and housing.